Eitan has his own look, which is expressed through limited options given the school uniform. The boy looks good in a suit and here he demonstrates that pink is a solid option in the shirt rotation. I give him pointers on where the shoulder cut should fall, and the value of belt vs. buckle (English prefer latter) or the number of pleats (seven or none) and whether a serious man would ever wear roll-ups (cuffs) in Europe (Never). He takes it in like the wise man he is then ignores it all immediately. 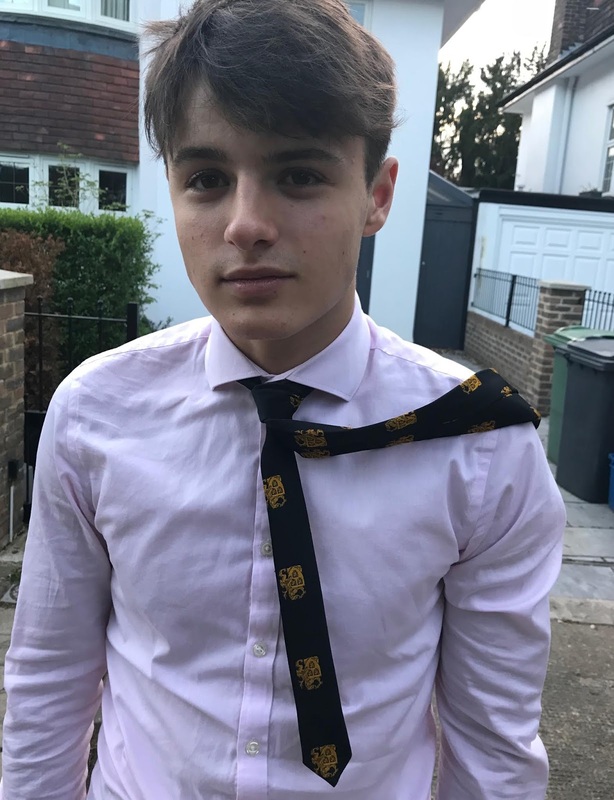 Eitan selected Prefect, a position of leadership within the school. He wears a special tie.